While its legalization in many states conveys the idea that it is harmless, in reality marijuana can be physically and psychologically damaging when used frequently, especially under the age of 25. The primary detrimental effects of long-term marijuana use include cognitive difficulties, increased anxiety and depression and greater chances of experiencing a psychotic disorder. 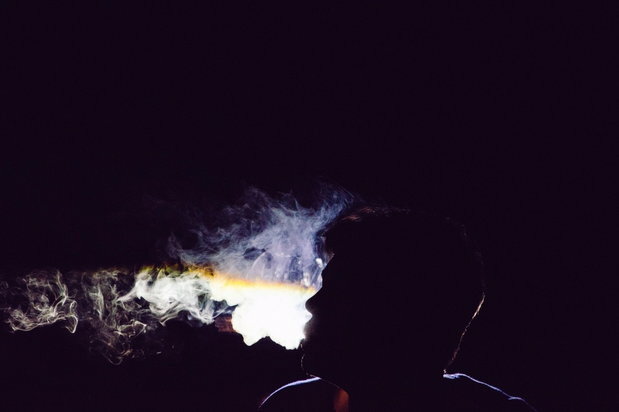 Well-known pot smoker Woody Harrelson recently revealed that he quit smoking pot because it left him “emotionally unavailable.” Marijuana impacts how you perceive the world, and it can mask feelings associated with dysfunctional relationships, problems at work, financial issues and more. After quitting, uncomfortable feelings can return and be overwhelming. In this case, for serious emotional issues, seeing a therapist can be helpful. Withdrawal symptoms can last one week or more, depending on the level of use prior to quitting marijuana use. Tetrahydrocannabinol, commonly known as THC, is the primary psychoactive chemical compound in cannabis. It works by binding to cannabinoid receptors concentrated in the brain and central nervous system to release dopamine which creates an euphoric high. Keep in mind that THC stays in the body’s fatty tissues for a while, so feeling the positive effects of quitting may take 30 days or more. Many think that quitting marijuana doesn’t cause physical withdrawal. This is not true. In fact, the likelihood of quitting is low for heavy users because of symptoms including irritability, anxiety, feeling physical tension and stress, loss of appetite and subsequent weight loss, insomnia, stomach pain, strange dreams and more. Withdrawal symptoms can last one week or more, depending on the level of use prior to quitting. Here are some tips on how to quit. 1. Throw or give away paraphernalia. The same as an alcoholic needs to remove easy access to alcohol, getting rid of bongs, lighters, pipes, roach clips, etc. should be a top priority. Often this means staying away from certain people and places that trigger the desire to smoke. Experts recommend quitting alcohol and any other drug use when trying to quit marijuana. Alcohol and drugs lower inhibitions and cause poor judgment. Avoid bars and parties where alcohol and drug use is a primary activity. While this may limit your social life at first, but establishing new and healthier friendships and social activities are essential to successfully quitting. Get up at a different time, change morning and evening routines, stop doing activities (at least for the first few months) that you did when smoking pot, such as playing video games. 4. Avoid getting too hungry or tired. In times of physical distress, it’s even more difficult to overcome strong urges. Try to eat healthy and drink a lot of water. 5. Stay busy and avoid boredom. Find a replacement activity that is productive, such as physical activity, meditation, volunteer work, etc. 6. Spend time with non-smokers. If everyone you know smokes pot, this is especially challenging, but possible. Find non-users at church, school, through volunteer work, at the gym, through new hobbies, etc. There are some similarities between quitting marijuana and quitting alcohol and other drug use. The recovery adage of finding new friends and places can definitely apply to quitting smoking pot.